Color From God-lung is an endurance-based opera series in which the performers create an intense yet minimalist environment through the use of their bodies, and how they relate to each other. Inspired from a dream by Dorian Wood, the opera unfolds within the petrified carcass of a giant celestial elephant, one of thousands strewn across the earth, many years after humankind’s demise. Past Color From God-lungs have been performed in Los Angeles, San Francisco and Stockholm. This will be the last one. This is a highly intense performance, with a duration of three hours. No one under 18 will be admitted. $15 tickets may only be purchased in advance. There will be no tickets for sale at the door. Performance begins at 7:00PM SHARP. Please arrive early. No one will be allowed entry after 7:00PM. On June 24, 2018, The Dancer-Citizen will present a single day, multiple site, live-streamed dance event: The Dancer-Citizen Live 2018: MOVING THE MAP. Art as transformation, ritual in action, environmental justice, and joy are themes at this performance event gathering featuring Esther Baker-Tarpaga, Kirsten Davis, Bianca Medina, Odeya Nini, Wilfried Souly and Allison Wyper. Since 2012, leading performance artists from Los Angeles, plus international guests, have met regularly to engage in a practice called Encounter, organized by Peruvian American artist Mariel Carranza. Encounters are durational, improvised, action/time/space based performances inhabiting private studios, art venues, and public spaces across the city. For Pacific Standard Time Festival: Live Arts LA/LA, Los Angeles artists will be joined by international guests from Latin America and Europe for two free durational performances: one indoors, and one outdoors. Audiences are invited to come and go as they wish. Location will be emailed to those who RSVP here. Note: Encounter #43 takes place Sunday, January 14, 4-7pm followed by a communal meal, at Human Resources. RSVP at http://www.rhizomaticarts.com/rsvp-encounter43. This performance is supported in part by a Foundation for Contemporary Arts Emergency Grant. Since 2012, leading performance artists from Los Angeles, plus international guests, have met regularly to engage in a practice called Encounter, organized by Peruvian American artist Mariel Carranza. Encounters are durational, improvised, action/time/space based performances inhabiting private studios, art venues, and public spaces across the city. For Pacific Standard Time Festival: Live Arts LA/LA, Los Angeles artists will be joined by international guests from Latin America and Europe for two durational performances: one indoors, and one outdoors. Audiences are invited to come and go as they wish, and a meal will be shared at the end of the performance. Note: Encounter #44 will take place Saturday, January 20, 3-6pm at a public location TBA. For location, RSVP at http://www.rhizomaticarts.com/rsvp-encounter44. 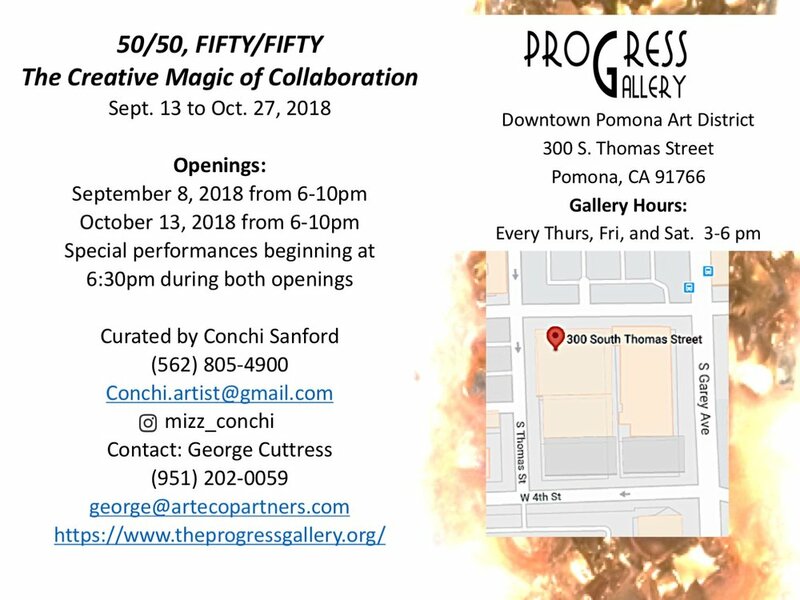 Since July 2012, a group of Los Angeles performance artists (and international guests passing through town) have met regularly to engage in a practice called Encounter, organized by Peruvian American performance artist Mariel Carranza. Encounter is a space where we encounter each other, ourselves, and the space itself. We perform with and for one another within given conditions. There is no preparation, no agenda (and generally, no “audience”). Things unfold on their own. We agree that there will be no idle observers; everyone is active in the space. Encounter has been invited to perform in REDCAT's International Festival of Live Art and Performance as part of Pacific Standard Time: LA/LA in January 2018. 6 Latin American and European artists will fly to Los Angeles, joining 13 local artists in 8 hours of unscripted collaborative performance. For this reason, Encounter is doing this show as a fundraiser. The film "Same Difference: Equinox to Equinox, a global performance convened by Bbeyond" will be screened. The public performance will be followed by a potluck dinner. $20 suggested donation, or pay what you can. On Friday, January 27th, I'm performing "this is what I call the light of god" with my collaborator Erika Katrina Barbosa at the opening night party for the stARTup Art Fair Los Angeles. We premiered this piece at the San Francisco stARTup Fair in 2016, followed by an interactive installation as part of Current LA this summer. I will also present a panel with fellow artist-entrepreneurs Kristine Schomaker, Stephanie Diamond, and Kio Griffith on Saturday January 28th at 4pm. Public Showing of works-in-progress by participants of Rhizomatic Studio's Performance Lab, facilitated by Allison Wyper. Short presentations take place in The Annex at the Hammer Museum, and will be followed by a dialogue with the audience. Attendance is free. Learn more here. I'm leading a 3-week lab for performance works-in-progress, presented by the Hammer Museum. Meets Fridays from 11 a.m.–2 p.m. on January 6, 13, and 20, 2017, followed by a public showing January 24 from 5–7 p.m. Learn more here. Participating artists include: (top row, L to R) Tara King, Carol McDowell, Christy Roberts Berkowitz, Alexx Shilling, Paul Outlaw; (middle L to R) Mariel Carranza, Phillip T Nails, Elisabeth Nails, Toban Nichols; (bottom row) Paul Outlaw, Allison Wyper, Antonia Price, Marcos Najera. All images courtesy of the artists. I'm performing Two Minutes Hate at the Electric Lodge! Cost: $10 cash at door-- limited capacity, purchase in advance on Eventbrite to guarantee admission!! High Voltage is an advanced laboratory for artists of all genres, designed to capture the essential fire of what creating work is all about. Join the Electric Lodge every First Friday of the month at 9pm in conjunction with Abbott Kinney's First Fridays as we bring together improvisers, fools, variety acts, puppeteers, dancers, performance artists and experimental bands that will claw at your heart, pull you up from the gut and drop you on your head. I'm performing an excerpt from my Intimate Performances project for Recombinant Poetics, curated by Sarah True and presented as part of MAIDEN LA. The exhibition opens August 25 and runs through September 2. What is the poem of today? What culture are we creating? All that appears solid, separate, bound, is recombined, its boundaries redefined, revealed as fluid. "the Breakdown: Recombinant Poetics" represents a diverse array of 2D, 3D, and performance artists who view a kaleidoscopic world in glimpses, who break that world apart and craft it back together again. This weeklong group exhibition features works by Enrique Castrejon, Steven Thomas Higgins, Toban Nichols, Laura Ricci, Kolbe Roper, and Sara True. Opening night performances from Allison Wyper's "Intimate Performances" project and Sara True's interactive poem, "Today is everything!" Erika Barbosa and I will perform "this is what I call the light of god" at KPARK, hosted by KCHUNG Radio for Current LA Water, LA's newest public art biennial. On two weekends at South Weddington Park in Studio City, KCHUNG presents performances ranging from experimental music to performative DJ sets. KPARK is a full month long series of ongoing programs and performances across three CURRENT:LA park sites in the Los Angeles area, presented by KCHUNG and created for CURRENT:LA. More on the KPARK series at http://www.currentla.org/kpark-kchung-2/. Erika Katrina Barbosa and I perform "this is what I call the light of god" at stARTup Art Fair, San Francisco's contemporary art fair for independent artists. Our officers of peace are the idols of a power obsessed culture. It's title a direct quote from a police officer describing his weapon, "this is what I call the light of god" is a participatory performance ritual for an age of police violence. Found sound of real U.S. officers activated by motion sensors are embedded in the wombs of the performers: Our Ladies of Peace, vessels of the patriarchy, police brutality madonnas for the 21st century. This collaboration combines performance artist Allison Wyper's work with vulnerability and participation, with media artist Erika Barbosa's interrogation of police violence through the objects officers carry. I am co-facilitating a 4-day performance workshop with La Pocha Nostra, as part of Guillermo Gómez-Peña's residency at 18th Street Arts Center. Info here. 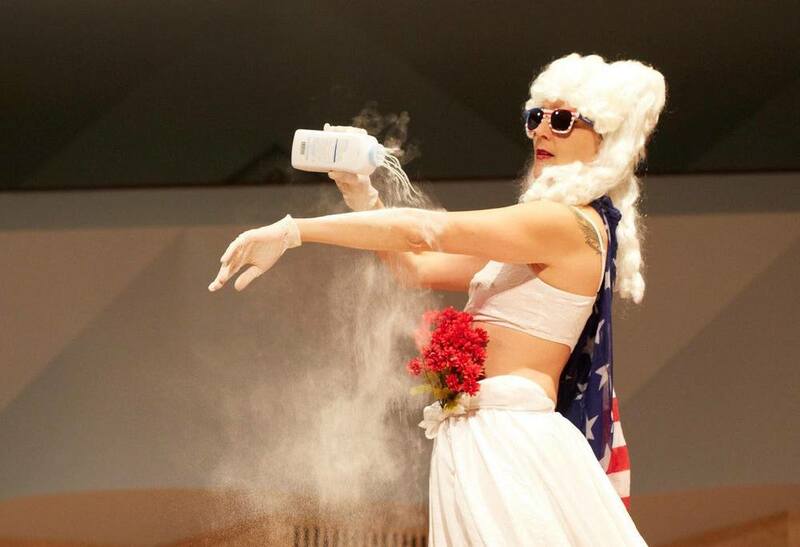 This performance is produced by LACE in collaboration with La Pocha Nostra, as part of Guillermo Gomez-Peña's month ­long residency in Los Angeles made possible by 18th Street Arts Center. La Pocha Nostra presents the US premiere of Five Psycho-Magic Actions Against Violence. In this brand new piece La Pocha Nostra offers a vivid new iconography in response to the dreams and nightmares of our current times. Through a series of daring posmo-shamanic actions, the artists depict a transgressive re-imagining of our current reality and show how radical tenderness can be the powerful tool against extreme conservatism, violence, merciless corporate power, social media narcissism, hipster cultural sameness/gentrification, and intolerance to difference. As in all LPN performances audience members are invited by the artists to participate in this on-site performance experiment. Versions of this performance have been presented in Brazil, Spain, Greece, Mexico and Peru. I'm co-teaching with Guillermo Gómez-Peña at California State University, Northridge. Raymond J. Barry, theatermaker: "Yelling at Women Walking their Dogs"
Pam Severns, puppeteer: "Bunny Love"
Jen Hong, choreographer: "Star Sisters"
Allison Wyper, performance artist: excerpt from "Intimate Performances"
High Voltage is a monthly performance/installation/happening late night series produced by the Electric Lodge. Now in its third year, High Voltage coincides with Venice’s “First Fridays” event on Abbot Kinney, and is free to the public. High Voltage offers new opportunities for both emerging and established L.A.-based artists to present developing work. An ideal series for artists/companies working within or across all disciplines – dance, performance, theatre, music, circus, spoken word. High Voltage seeks cutting-edge performers who are committed to pushing the boundaries and creating innovative work. The performances are minimal tech, in a “pop-up” fashion and take place in our large street-level dance studio/gallery space. Interdisciplinary artists from LA, Philly and Tijuana come together to present an evocative evening of solo and duos. Performances by Esther Baker Tarpaga, Odeya Nini, Devika Wickremesinghe, and Allison Wyper. 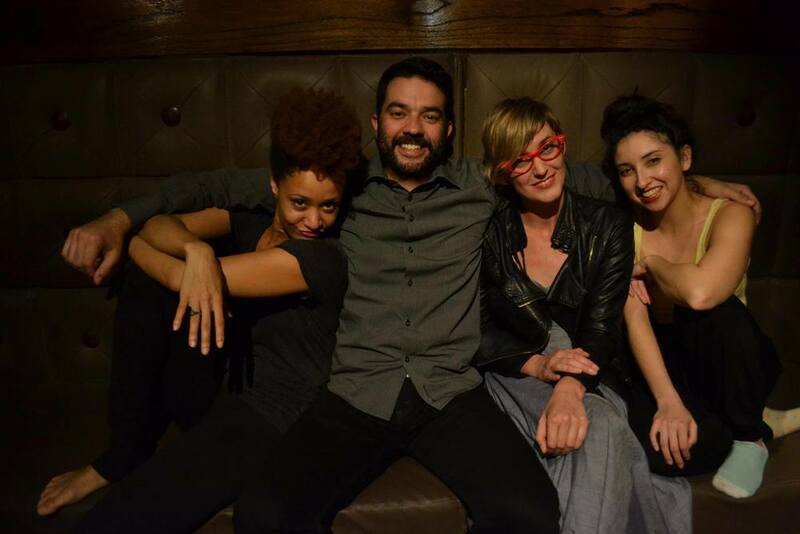 The cast of Color Outside the Lines (L to R): director/choreographer/performer Kai Hazelwood, and performers Abel Arias, Allison Wyper. and Tasheena Medina. Everyone's favorite game show meets dance theater piece all about race in America is returning to Hollywood this weekend! I'll reprise my role as "Mitzi Le Blanc" in this wickedly smart work by mastermind director/choreographer Kai Hazelwood. The cast also includes the exceedingly fabulous Abel Arias and Tasheena Medina. In this 4-hour workshop for artists and creative professionals, we practice talking about what we do, why we do it, and why it matters. Using structured, one on one interviews, you will learn to craft clear and meaningful elevator pitches, mission statements, and personal statements that express your unique identity for grants, publicity, and publication. $65 regular / $55 WCCW members. Space and materials are limited. Advance registration (by November 9th) is required. $72 for the series, advance registration required. No drop-ins. INFO. I'm performing in Scott Benzel's sound + performance installation at the MAK Center/The Fitzpatrick-Leland House in Laurel Canyon. INFO HERE. The MAK Center for Art and Architecture presents a new work by composer Scott Benzel: Op. 21: Inner Experience Fellowship/Friends of Crime for prepared piano, vintage electronics, guitar, experimental percussion, tape loop, gong, and central mixing station. Designed to provide an enveloping experience for the visitor, the one-day only performance is composed of simultaneous elements issuing from every part of the house and grounds. Moving individually and at will through the property, each listener's experience is unique. Erika Barbosa and I are re-performing "In the Current" for the WCCW's Community Meeting since we were rained out of the river at homeLA // Frogtown. Join us at 7pm off the LA River bike path near Riverdale Ave. Soyoung Shin's WCCW Flag Raising immediately follows. Live dance made in response to the home of Women's Center for Creative Work adjoining the LA River! This home is a center for a growing movement close to our hearts at homeLA and we hope you'll join us for an open rehearsal, one of a kind performance, and DJ dance party to celebrate the process, experience, and catharsis of creative work. In this 4-hour workshop for artists and creative professionals, we practice talking about what we do, why we do it, and why it matters. Using structured, one on one interviews, you will learn to craft clear and meaningful elevator pitches, mission statements, and personal statements that express your unique identity for grants, publicity, and publication. yper. Space is limited, advance registration (by June 18th) is required. Register here. In this workshop for artists and creative professionals, we practice talking about what we do, why we do it, and why it matters. Using structured, one on one interviews, you will learn to craft clear and meaningful elevator pitches, mission statements, and personal statements that express your unique identity for grants, publicity, and publication. The workshop is facilitated by Rhizomatic Arts founder and interdisciplinary artist Allison Wyper, and presented by the Women's Center for Creative Work. “Color Outside the Lines” the twisted trivia night meets dance theater show all about race. "Color Outside the Lines" doesn't attempt to offer any answers about race. Instead it is an invitation to explore the funny and also dark parts of ourselves, our understanding of our own racial identity and that of people around us. I want you to question, disagree, challenge, be uncomfortable, and laugh with us. The show is intended to inspire conversations, and exploration of the things we think but never say and the things we think deep down and may not even realize we believe. The night consists of a mixture of racial take offs on traditional games and dance theater pieces including ‘The Ig'nant Spelling Bee!’ The audience will play under the direction of our witty MCs. The show shifts between the humor that exists in antiquated sterotypes trying to encompass our muticolor lives, and the ugly reality of racism. On Sunday March 15th, I will be a guest on Carol Cheh's excellent radio show Performance Now on KCHUNG Radio. I will be joined by my Play the LA River colleague Catherine Gudis and Julia Meltzer of Clockshop, to talk about performance and the LA River.